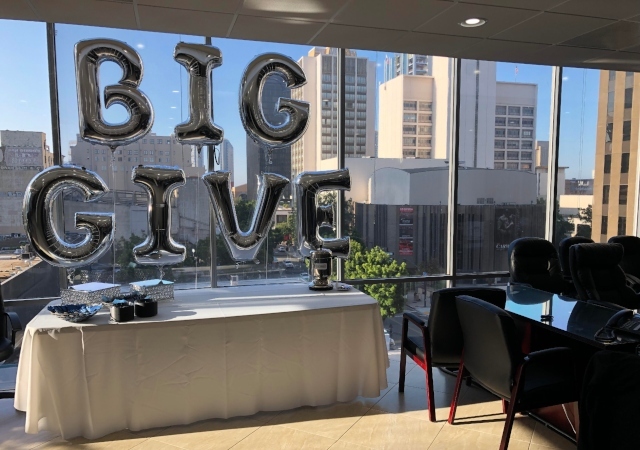 SAN DIEGO (April 12, 2019) – University of San Diego (USD) School of Law announced the results of its sixth annual Big Give. 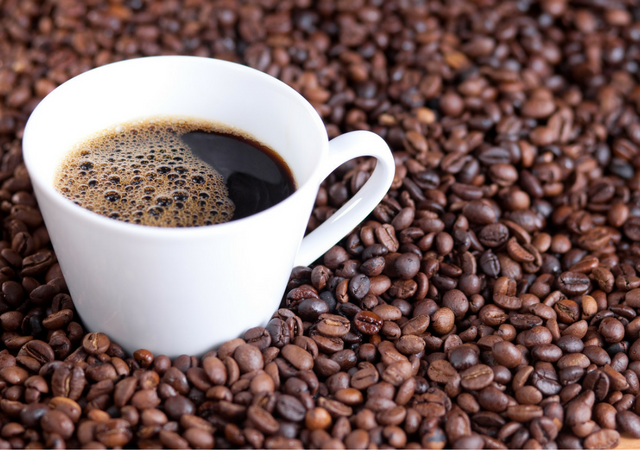 The 36-hour online fundraising campaign that took place on April 3 and 4, to raise funding for student scholarships, academic programs, and other law school initiatives. 311 alumni, friends, faculty, staff and other supporters donated a total of $372,000. Launched in 2014, the Big Give has raised over $1.4 million, of which $1 million has gone towards student scholarships. The Big Give received leadership gifts from several donors, including: Casey Gerry—David Casey, ’74 (JD); Dale Giali, ’90 (JD) and Susan Westover-Giali, ’90 (JD); Gomez Trial Attorneys—John Gomez ’89 (BBA); Jackson Lewis; Sunita and Patrick Martin, ’92 (JD); C. Edward Miller, ’69 (JD); Laura and Kurt Robinson, ’84 (BA), ’87 (JD); RJS Law—A Tax Law Firm—Ronson J. Shamoun, ’98 (BAA), ’02 (JD), ’03 (LLM). These gifts provided $100,000 in matching funds. In addition, the law school also had outstanding individual support throughout the 36-hour campaign from Board of Visitors members, Richard Bartell, ’75 (JD), The Honorable Lynn Schenk, ’70 (JD), George Strong, ’74 (JD), Bill Baumgaertner, ’75 (JD) and Michael Kaplan, ’72 (JD) as well as from Robert and Julianne D. Fellmeth, ’76 (BA), ’83 (JD), Robert Nagata, ’70 (JD), Kevin Ruddy, ’77 (JD), and several anonymous donors. 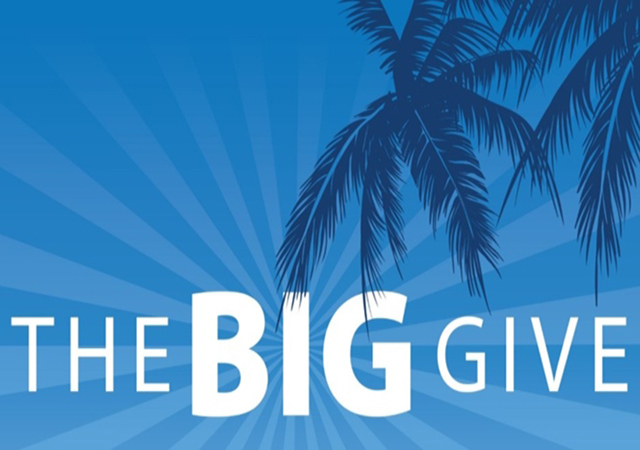 The Big Give supports the law school’s top funding priorities, including the Dean’s Scholarship Initiative by raising more than $94,000 to fund scholarships for current and prospective law students. Memorial Scholarships, honoring longtime partner of Seltzer, Caplan, McMahon & Vitek—Gerald L. McMahon, ’64 (JD), and former USD Provost, Professor of English and Law—Sister Sally Furay, ’72 (JD), topped the list of scholarship funds supported throughout the 36-hour campaign. 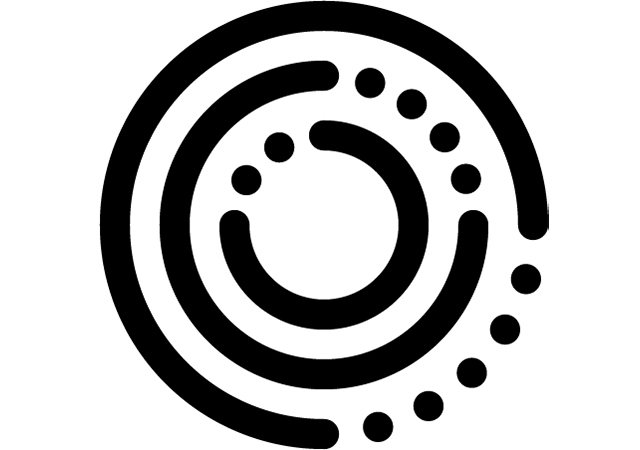 Generous donors funded other important giving designations, including the Center for Public Interest Law (CPIL) & the Children’s Advocacy Institute (CAI), Legal Clinics, The Friedman Institute for Securities and Corporate Law (FISCL), Law Annual Fund and Loan Repayment Assistance Program (LRAP) and Diversity Fund. The campaign launched with a kick-off BASH on Tuesday, April 2, at RJS LAW hosted by Board of Visitors member and adjunct faculty member, Ronson J. Shamoun, ’98 (BAA), ’02 (JD), ’03 (LLM). Law Firm Challenge firm Gomez Trial Attorneys and Board of Visitors member, John Gomez, ’ 89 (BBA), co-sponsored the most successful kickoff event in the law school’s history at which more than $50,000 was raised, including funding for two Deferred Action for Childhood Arrivals (DACA) scholarships.